We didn't have much money. Our lives consisted of rubbing two nickels together just to survive. But, we were happy. Before my birthday came, I knew there wouldn't be any fancy fanfare and I was perfectly okay with that because we were together. On the day of my birthday, you filled our home with colorful balloons and happiness consumed me. Even my car was filled with beautiful colorful balloons. You gave me joy for my birthday. All because of you and a package of balloons, this was the best day ever! … Except for the day that you were born. 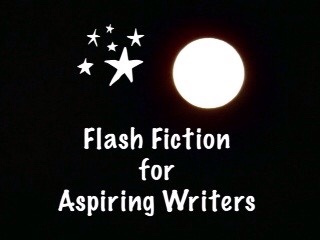 This is my submission for Flash Fiction for Aspiring Writers Challenge. For this challenge, we are given approximately 75-175 words and a photo prompt in which we use to build our stories. The challenge is open to anyone who wishes to participate. For more information, please click here. To read the other amazing stories by the other fantastic authors, click on the blue froggy button below. Thank you John! I appreciate you reading and your kind comment! Aw, very sweet story! I like not knowing who the “we” is until the end, it grabbed my heartstrings. Thank you so much Joy! I was hoping that would work out okay! I appreciate you reading and commenting! What a great subject. I could have gone on the rest of the day with detail. Thanks. My daughter did this for me when she was 15 years old. It was so much fun! That’s very sweet. Great job! Thank you Mandi! That happened when my daughter was 15 years old. She is 40 years old now. It’s so nice of her and a wonderful memory for you! Such a lovely story with wonderful imagery! And that last line is touching. Oh, I love it! I reread it just because it was so sweet, and I got some really nice images from it the seconds time (I like to imagine in pictures as I read, I don’t know if other people do that) just because I then knew who the ‘we’ were. Were? Was? Is? Thank you! I appreciate your kind comment. Thank you Jessie! It was a fun birthday for me. She made it very special. I was a single mom with 2 kids and no help from their dad. So, our budget was tight. What a great story and Awesome that it was true! Lovely daughter! Thanks for sharing! Thank you JR! Thank you for reading! Thank you so much! I appreciate you reading and your wonderful comment! Absolutely Colleen! Joy is enough! Balloons are great for bringing joy! Thank you. You are right. That is a wonderful memory. LOL! That would actually be fun! Thank you Louise! Yes, it was many years ago but is one of my most memorable birthdays! That was when I was struggling to support two children with no help from their dad. Ah! I hope you will send a copy of this one to your daughter. 15 year olds are often so involved in their own lives that they can’t take time for much else. A memory to carry forever – longer than a balloon can last. Yes, that is true. It is a wonderful memory! Thank you so much BoF! I appreciate that. This is wonderful, brought back memories of the times we did just that for the boys. 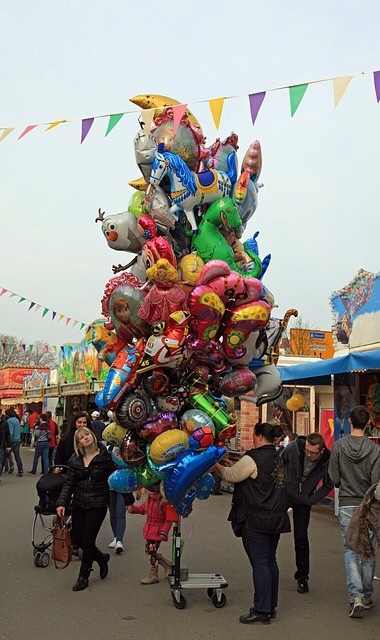 A house full of balloons, they loved it. Sorry, I didn’t get to participate this time. I was involved with another FF project that went live on Tuesday. I’ll try the next one though! Thank you so much Ady. I’m glad you have good memories about your mom. I was so very touched reading this story, PJ. Personal stories are always so much more poignant – and your story reaches out to all mothers. The happiness of the day stands out above all else. Thank you Millie! I appreciate you reading and your kind comment. This is one of my happiest memories. It was a fun day! Aw! Such a light and sweet story. It warms the heart. This is a great way to start the morning. The love between a parent and child, no matter the age. 💕 You captured it in an astonishing way. Thanks for writing and fueling this great challenge, PJ. Very clever…wonderful story. I like your upbeat take on this photo!!! Thank you so much! It was a fun day! Such a simple joy balloons. I remember a friend of mine told me about how they filled a bride and grooms hotel bathroom with balloons… leaving one balloon on the bed to let them know someone had gotten in to their room… Perhaps it was not fun for them when the got back later in the evening and needed to use the ‘powder room’, or later that same morning when they pulled the shower curtain aside and more balloons were in the shower below the curtain rod. At least they laugh about that memory now. That’s really funny! I have not ever heard of doing that before but what a great idea! I have a feeling they had a lot of fun popping balloons! That’s what makes life happy – little inexpensive joys. Yes, that is true! Thank you!